Three stacking snowmen trying to put a star on the tree! 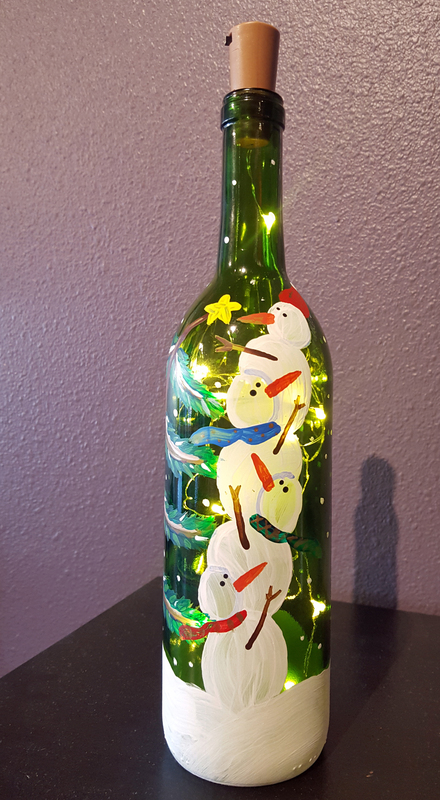 Paint this decorative blue wine bottle with lights included! This is a BYOB event. Wine Bottle Painting INCLUDING Lights. This event will be open seating. Please arrive 30 min early!